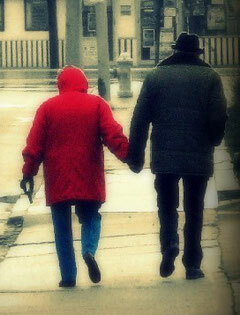 Walking alongside: when times get hard, you need someone to be there. One of the really positive things Helen and I have found about this area is how many people have good relationships with family living nearby. It’s something we miss – our nearest family members are nearly 100 miles away in Sheffield and Manchester, with others further away still – in London, Durham, Newcastle and Hampshire. parent, or even child dies – and leaves a big hole. Worse still, a living relative falls out with you and cuts you off. Either way, loneliness cuts deep. But there is someone who can be even more help. Jesus knows what it is like. As he faced his own death even his closest followers ran away and denied ever knowing him. And on the cross he was cut off even from his heavenly Father. But still he kept going. Jesus did not abandon the world despite all his own suffering. Do you think he would abandon you now in the midst of yours? happy to come and talk or pray with you. 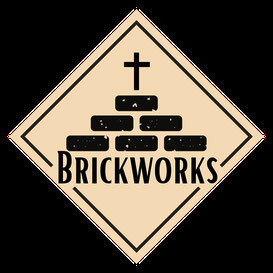 This website (like Brickworks) is a work in progress - suggestions and comments welcome! Any ideas of things we could do, or improvements to the website - we'd love to hear from you! Brickworks is an outreach from Christ Church Lye (the one with the WWI soldier statue in front).